Caribbean style beautiful studios in a brand new building. The building has 11 studios, each unit has around 45-48 m2. 4 of them has street view. Those have bed, bathroom, small refrigerator and a great size balcony with a nice shadow from bamboo sticks that form the frontage of the building. Those have a hotel room character: very comfortable, nice and functional. 7 other studios have bed, sofa (to sleep for 1 person), kitchenette and the bathroom. Fully furnished and equipped. 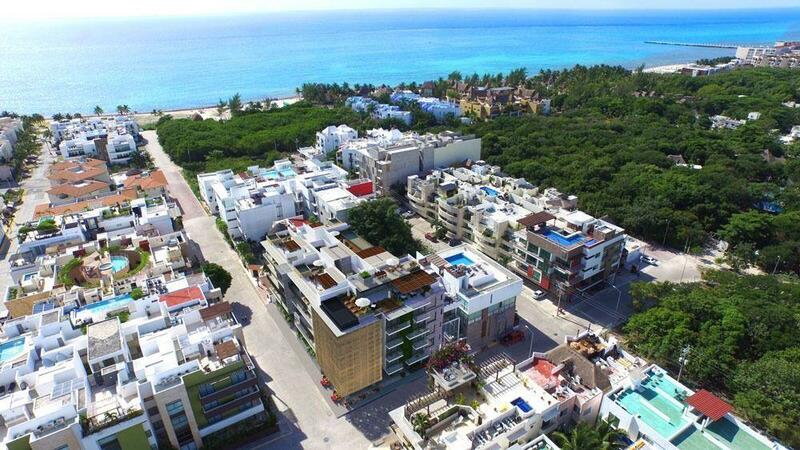 On the last floor you have a roof top with a common area to enjoy nights with margarita and barbecue. You find there also a small swimming pool and space to rest with a great ocean view. It has the laundry room with 3 washing centers for common use. All studios are fully furnished and equipped and is on vacational rentals regime working, so your return of investment will be immediate.